The sense of the vast unknown shared by the ocean and space lends to a sci-fi combination of the two. "Blacksea Odyssey" follows the formula of "Treasure Planet" to mix the two settings for a high seas/interstellar RPG adventure with roguelike elements. The vicious spacescape teems with entities that threaten your survival. Whale-like megaliths, lithe spacecraft and grotesque beasts are gunning for you. To stay alive, you need to react quickly and search out danger-plagued depths with fearless ferocity. Nine months after its release on consoles and PC, "Blacksea Odyssey" sets sail on the Switch. Fast-paced thrills come along with the combat, which tasks you to dismember enemies systematically, cutting them down to size so you can neutralize and eliminate them. Customization options for your ship abound, letting you tweak and tinker with various aspects of your ship to emphasize your own offensive and defensive philosophies. The diversity lends itself to the crafting suite, which lets you collect and fuse together resources that serve as boosts to help you, well, find and collect even more cool stuff with which to craft. "Blacksea Odyssey" may lean a little too hard on rote basics, but manages to freshen up its array of offerings enough to seem fresh and vibrant. Packed with replayability and polished and refined from its initial platform releases, the game is ready to cast into new waters. A dark and atmospheric puzzler, "Uncanny Valley" is a dense and circuitous survival horror title bounding with obtuse clues sheltering multitudes of Easter eggs. It takes a studious effort and fine-tuned attention to detail -- as well as the willingness to undergo multiple playthroughs -- to uncover everything. Your choices affect the outcomes in ways many games promise but few deliver. This is a truly branching-path effort in the "Choose Your Own Adventure" tradition. In addition to the mysteries themselves, additional difficulty comes in the form of oddball design choices and convoluted structure. "Uncanny Valley" takes pride in being out of the ordinary, so those looking for something conventional should look elsewhere. After releasing on consoles in February, the effort from developer Cowardly Creations gets an encore debut on the Switch. The game could gain new life in the new release, with handheld mode making some of the more frustrating qualities more tolerable. "Uncanny Valley" is far more intriguing when played in shorter, bite-sized go-rounds. While too convoluted and burdensome for those with short attention spans, the game has the uncanny tendency to gnaw at you when you leave it, sinking into your subconsciousness in the way intriguing works of art tend to do. An overthinker's dream, "Uncanny Valley" has a way of sticking to your ribs. You've got options to tackle every obstacle and slate of enemies, such as the block-pushing heavy, the double-jumping acrobat and the jack-of-all-trades trooper. As with "Trine," you'll need to juidiciously select the proper hero for each task. With multiple options available for most scenarios, your options are as wide as your imagination. Sprawling levels teem with hidden rooms, unlockable pathways forward and paradigm-shifting items that clear the way for advancement. Deciphering enemy patterns, deciding whether to run-and-gun or methodically work your way through the rooms is much of the fun. Backtracking is an occasional burden, but retracing your path through various levels takes on fresh notes when you play as different characters. No two playthroughs are the same. The dev team at Woblyware proves to be adept at orchestrating the Metroidvania formula to its own unique ends. "Omega Strike" is a robust, well-rounded platformer/shooter with intricate realms to uncover and explore. Made with just the right dose of 80s action flick-style cheesiness, it's a holiday treat worth sampling for Switch owners. You wouldn't know it from the waves of roguelikes that have come out in the past few years, but high fantasy isn't a prerequisite for the genre. Space works just fine as a substitute for dungeons, treasures and magic, and "Everspace; Stellar Edition" proves as much with its stylish take on the motif. An open-concept space shooter with a sprawling play area that suits its title, the effort from Rockfish games slips into a rhythmic orbit of discovery, exploration and upgrades. Divided into sectors, the structure is parced to facilitate segmented gaming that helps break up your path through the story. Even though the fantasy aspect isn't required for a roguelike, quick, brutal and frequent permadeath is. "Everspace" supplies that with gusto, subjecting you to a gauntlet of dangers. The danger leads to a constant flow of high tension, which makes your breakthroughs all the more exuberant. Many of your encounters develop on the fly, and choice abounds. You can dive in to defend or attack sweet loot from adversaries, hang back and wait to swoop in and take what's given to you, or retreat entirely and try your luck in some other zone. Gorgeous environments abound, somewhat hampered by stiff presentation and wonky textures. The pacing is usually so frenzied that it's tough to notice, and as a whole "Everspace" congeals into a wild, ever-shifting adventure that keeps you guessing, regrouping and adapting. "Everspace" carves out its niche amid a stream of strong indie titles, giving you a taste of an adventure that's nothing like anything else you'll find on the system. In space, no one can hear you die over and over again and somehow find yourself happy with it. L.M. Montgomery overcame considerable institutional prejudice to craft this delightful, entrancing coming-of-age novel, about a mischievous, hyperimaginative girl who overthinks her way through adolescence. A female and Canadian answer to Mark Twain's Tom Sawyer and Huck Finn, "Anne of Green Gables" launched a sizable entertainment empire of its own that continues to thrive in various media today. None of the TV shows or movies can match the effervescent panache of Montgomery's writing. Likely drawing upon her own upbringing as a brainy and rambunctious young mind scuttled by prim, proper society, Montgomery sets the stage for relatable and awkward misadventures. She talks her way in and out of trouble, forges rivalries and frenemyships and bristles against the constraints of social expectations heaped upon females. In the Audible version, Rachel McAdams' narration perfectly synthesizes the brainy energy of a young, too-smart-for-her-own-good mind bubbling with iconoclastic ambition. Astoundingly fun while also appreciably deep and philosophically challenging, "Anne of Green Gables" is a fun and fascinating story that's a treat from end to end. A micromanager's dream, "Football Manager 2019 Touch" lets you wear a GM hat and delve deep into the bowels of a soccer club of your choosing, manipulating every aspect of the enterprise from concession sales and ticket prices to training regimens, transfers and lineups. Some may be put off by the "Touch" moniker, concerned that the game is a slimmed-down, mobile version of the expansive PC edition, but instead they should see it as a value-added proposition. The additon of a touch screen makes menu manipulation quicker and more fluid than a keyboard-and-mouse setup. The Switch edition is robust and content-rich, overflowing with team-building aspects to crunch, massage and rearrange. The fluid, aggressive AI makes it difficult to lock into any particular mode of operation to find success. It takes an adaptive mind and a proactive mentality to find consistent success. A decent measure of luck also helps. Smart, incisive risks tend to be more rewarded than conservative minimalism. This is, after all "Football Manager" rather than "Football Passive." New additions include tactical options that include the famed Spanish Tiki-Taka and the hyperaggressive Gegenpress method. Training has also been overhauled, adapted to real-world regimens, and the top two German Bundesliga divisions have been added as well. Stylish presentation and an intuitive interface are key in a management-focused title such as this, and the dev team at Sega thoroughly nails that aspect. A voluminous and wide-ranging effort, "Football Manager 2019 Touch" is as exhaustive and endlessly intriguing on-the-go soccer biz sim as you could hope for. A true descendant of the 80s, "Battle Princess Madelyn" is drenched in retro charm. Developer Casual Bit Games go to great lengths to make their effort look just like an arcade game you'd find 30 years ago. The cut scene visuals subtly flicker in the way a CRT monitor would, and characters are big, detailed and expressive. The framing motif echoes "The Princess Bride," with a book-toting grandfather reading a book to a sick child who would rather be playing video games. The grandfather and girl appear in the story, of a princess-turned-knight who leads the effort to fend off evil that has infiltrated the world of the living. With the ghost of her slain puppy in tow, Madelyn wears armor and jumps in the manner of Arthur in "Ghosts 'n Goblins" and "Ghouls 'n Ghosts." Just as in those classics, there's more going on than the standard beat-em-up it appears to be. As creepy monstrosities pop up from behind trees and walls, you slay them, speak to NPCs, track down hidden items and unlock new paths. The light Metroidvania flavor keeps things from growing stale. The game is beautiful and inventive, with visuals that simulate the look and feel of 8 and 16-bit fare of the era. The throughline of subtle humor mocks conventions of the time, while sticking enough to established customs that it could pass for a genuine creation of the 80s, vacuum sealed until it could be released today. "Battle Princess Madelyn" is a heartfelt and comedic lark with charm to spare. While not as sadistically frustrating as its forebears, it retains a similar sense of joyful discovery. Its spunky hero is truly one for the ages. A piece-shifting puzzler in the vein of "Pipe Dream," "Mini Metro" takes a simple premise and quickly heaps on complexity. The difficulty ramps up significantly, forcing you to adjust your thinking and tailor your tactics to the level at hand. You shift and rotate paths from one station to another, with a limited amount of track to use. To advance, you need to make the most efficient use of limited resources, adjusting on the fly to keep your mini metro track paths tight and reliable. Different colored pathways enter the fray, forcing you to make a chain reaction of changes when you adjust something that is out of place. A tinkerer's dream, "Mini Metro" gives you plenty to adjust and rejigger in order to sort out the ideal solution. The array of track permutations available to you is staggering, but also liberating. It often takes a bit of trial and error to stumble onto the right solutions, but the longer you play, the greater sense you have of how to manage the tasks set before you. "Mini Metro" isn't spectacular, but its meat-and-potatoes execution is admirable. An ideal for on-the-go Switch gamers looking to engage their minds in a productive, deductive pastime while killing time, the game puts you on the express route to puzzle game bliss. With the roguelike genre having made a strong comeback to prominence, developers have outdone one another in an effort to distinguish themselves from the pack. Leave it to Capy Games to push the genre's unforgiving aspects to their limit. With "Below," Capy has unleashed a punishing, adamantly old-school take on roguelikes. With no ability to pause, one-hit permadeath coupled with forced restarts and zero handholding in the form of tutorials. Even with the archetypes from older games firmly in place, there are still technological improvements, even if some are a bit anochranistic. Kinect owners on the Xbox One version can monitor your room surroundings to adjust procedural iterations of the levels. Much of the allure comes in feeling your way through the formidable systems. To get the full effect, avoid online walkthroughs and go into the game blind. The less you take into it, the more you'll get out of it. The story involves a grim power known as the Darkness that has put the realm in a chokehold. You arrive at a beachhead and can light a campfire, scrounge for items, spelunk in caves and find and utilize incongruous items. Feeling your way through the inventory and action system is rewarding, providing an immense sense of discovery that empowers you as you go through. Although death is frequent and harsh, you're meant to learn harsh lessons from your failures, coming back with redoubled efforts hardened by the wisdom granted by gameplay experience rather than artificial statistical buffs of standard RPGs. "Below" doesn't hold back when it comes to giving gamers an authentically brutal experience, and that motif allows some of the game's rougher edges to seem forgivable. Capy Games didn't strive for perfection, but thrives in the way it sets gamers up against obtuse, borderline unfair challenges. If you're up to the ordeal, you'll be intrigue in what lies "Below." The concept was so simple it was a surprise that it was never copied. The concept was so insane that it's a wonder it was ever even conceived, much less executed. " Katamari Damacy" was a wacky action/puzzle/collect-a-thon that had players manipulate a ball around various levels, gathering objects in its wake that made it bigger and bigger. As the Prince, you do all this to please the sardonic, eccentrically domineering King of All Cosmos, who demands that you craft giant Katamari balls to replace stars that have fallen out of the sky. The goofy setup was a starting point for a cavalcade of nonsensical jokes and non sequiturs. Fourteen years after its original release, the relentless charmer has tujmbled back into public consciousness, popping up in a remake on PC and Switch as "Katamari Damacy REROLL." The game doesn't reinvent the wheel, or Katamari for that matter, and that's just as well, because the mechanics that entranced gamers in 2004 remain every bit as alluring. The latter's dual analogue sticks make for an ideal control setup, allowing you to use one for directional force and the other to change the angle at which you address the Katamari. If you're playing on your TV, you don't need to manipulate the sticks at all, using wrist twists to direct your Katamari. An all-ages romp, "Katamari Damacy REROLL" is a relentlessly paced lark that, like a Katamari, only gathers stature and momentum as it rolls along. Playing it on the Switch feels just right, as though the PlayStation 2 version was just a beta for its eventual ideal landing spot. The King of All Cosmos would be pleased to see the new star hoisted into the skies. I went through phases of appreciation, satisfaction boredom, annoyance, and outright resentment. Bradbury's stab at a sci-fi YA adventure is worthwhile due to its thought-provoking monologues and interesting depiction of evil's influence and utility in mankind. Will and Jim are 13-year-old boys who are sucked into the bowels of a traveling, Mephistophilean carnival that is run by a tattooed devil incarnate who intends to harvest their souls, as well as any other small-town bumpkins they can manage. They ignore their parents' wishes and take it upon themselves to expose the demons on their own, Hardy Boys style. The teen empowerment fantasy fuels the narrative through its most ridiculous moments. I could tolerate the many needed logical stretches to stay present in the story, but Will's twerpiness drove me over the edge. It got to the point where I cringed whenever the next idiotic phrase came out of his mouth, and I rooted for his failure and death. His dad, who becomes a major part of the story later on, is more tolerable, but at times equally annoying. How he comes to know everything about the carnival, where its denizens came from how to neutralize the operation and what its future held, is head-smackingly dumb. Christian Rummel's narration in the Audible version does Will no favors, deploying a whiny voice that makes him even harder to stomach. A more straightforward reading would have salved the irritation a bit. The ending is almost laughably insipid, as though Bradbury has no idea what to do with his endgame and just went with the first, dumbest idea that occurred to him. Even on a somewhat off day, Bradbury is a brainy, thought-provoking writer with much to say that's worth pondering. This is not the author at his best, but the good moments manage to redeem the awful. Playing like a sprint through the hyperactive imagination of a 14-year-old, "Escape Doodland" stands out with its distinctive artistic flair. Every corner of the screen looks like freehand pen or colored pencil sketches. The backgrounds and characters bubble with miniscule grotesque, intricate details that emerge from idle sketching. It's impossible to play the effort from flukyMachine without a big smile on your face. Giant monsters chase you down through the outrageous 2.5-D, endless runner platformer stages. Balance and precision were not on the table during the conception stage. This is a mean, nasty and often hilarious game that is purely out to get you. Sticking to the juvenile motif, you use farts as diversionary weapons and boosts for speed and jumps. What the character ate to generate all this fuel is worthy of NASA research. Expect to die early and often, through increasingly sadistic means. You find yourself chomped, chewed, swallowed whole, splattered and ground to bits. The trick is that the game manages to keep you eagerly coming back for more instead of scaring you off. That's the mark of precision conceptualization and design disguised as a haphazard mess. Inventiveness is the currency in which Capybara Games and Superbrothers traffic in "Superbrothers: Sword & Sorcery EP." The wildly creative narrative reinterprets action/fantasy and puzzle game tropes, all set to a distinctive score by Jim Guthrie. The 2012 blast of fresh indie game air, which made an impression on the scene when it debuted on PC and Smartphones, re-emerges on the Switch. The less time spent explaining/rationalizing the loopy plot the better. There are plenty of oddball story beats to digest, but "Sword & Sorcery" is more about emergent gameplay that occurs when you tinker with the odds and ends of the design. Zany humor pulses from every facet of the gameplay. Still more surprising is the heart that emerges. A brainy, artful creation, "Sword & Sorcery" is challenging in more than one respect. Like an engaging portrait or novel, there is plenty to sift through and discuss. On the downside, the commitment to an eclectic sense of style may scare off gamers used to more traditional experiences. Strictly for those who lean toward the unconventional, "Sword & Sorcery" hints at what mobile gaming could have become had it not plateaued during the middle of the decade. Finding a welcome landing spot on the Switch is a welcome and fitting next act for a game that might have otherwise faded into oblivion. Resurrecting two of the greatest shmup titles ever created, "R-Type Dimensions EX" rounds up the first two space shooters into one remastered package on the Switch. With 14 levels filled with megaships, screen-filling beasts and side-scrolling obstacles to blast your way through, the game ratchets up the difficulty to levels that were acceptable in the 1980s but are rarely seen in this era. The replay value comes in embracing the intense challenge and gradually working your way toward mastery. Ultimately, you'll find yourself losing yourself in the heat and flow of the game, dodging and destroying enemies as second nature, without even focusing. Two-player co-op makes the challenge heaped upon you easier to deal with, and a slow-motion mode lets you break down your mistakes and adjust accordingly. Graphics have been considerably upgraded, but those who are fans of the original, pixelated visuals can swap back and forth between the current and old visuals at any time. Customizable controls allow you to rejigger and tweak the options to your liking. Whether you're a series veteran or a newcomer, "R-Type Dimensions EX" has plenty to offer you. It's an apt fit for the Switch, thriving on your TV, as well as in handheld mode. The ticket to deep space shenanigans works as a time machine as well, transporting you back to its 80s heyday. The beloved railway-themed board game evolves in "Ticket to Ride," which delivers all the frenzied, competitive gameplay and removes the tedious setup, piece management and cleanup. Another in a series of local multiplayer-focused PS4 exclusives, including the quiz game "Knowledge is Power" and murder mystery "Hidden Agenda," "Ticket to Ride." After the initial hassle of having all players download the game-specific app and connecting to the same local WiFi network as your console, you dig in to the fast-paced rail building. The necessity of using phones or tablets rather than controllers makes it easy for larger groups to get in on the action without making the host splurge on hardware. While the visuals are less than spectacular, they are adequate and don't get in the way. Developers Days of Wonder and Asmodee Digital , which are cognizant that the airtight gameplay is the main drawn, prioritize functionality above all else. Like other PlayLink games, the more players who get involved, the better time you're in for, with the game acting as a conduit to elicit the ribbing and inside jokes that emerge when friends gather and set their wits on the line against one another. "Ticket to Ride" is at its best when it goes off the rails, setting the room afire with angst, stress and laughs. It takes the party game concept to a new level, and makes you think twice before cracking open the old board game. These are relative boom times for Lovecraftian horror games, with the combat-focused strategy title "Achtung! Cthulhu Tactics" following the measured narrative stylings of "Call of Cthulhu." The newer game, an action-packed turn-based effort in the tradition of "XCOM" and "Valkyria Chronicles," explores the universe's bizarre creatures and their spellbinding powers and abilities, crossed with the trappings of World War II. This will all seem familiar to tabletop RPG enthusiasts, because developer Auroch Digital adapted the card and miniature setup to conjure the game. Maintaining the dice-roll sensibilities of combat odds, as well as the sense of progression that allows you to bend those odds to your favor, the result is a balanced effort that taxes your willingness to gauge opportunistic aggression with measured defense. Those who go in with heedless guns blazing are likely to find themselves repeating levels, as will those who fail to press their advantage when it arises. Multiple variables come into play as things develop, with light and dark powers to orchestrate, shifting senses of momentum that tweak the circumstances and a psychological health dynamic that wears your forces down as they're exposed to further trauma. The game doesn't do much in the way of holding your hand, but does deliver fair, constructive lessons along with your failures. When you suffer setbacks, you come back stronger and more capable. Heeding the call of battle in "Achtung! Cthulhu Tactics" is a brutal, unforgiving affair that never fails to get your adrenaline flowing. 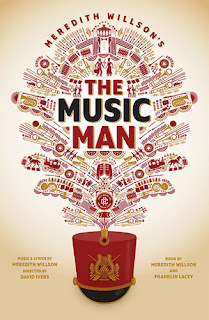 "The Music Man" tends to be one of the classic musicals that is too much taken for granted to be regarded as lively and poignant. Leave it to Arizona Theatre Company to breathe fresh life into its creaky bones of Meredith Wilson's opus. Bill English plays title character Harold Hill with the necessarily heedless devil-may-care panache to keep him likable even as he deceives the town's innocents. He heads up a superb cast of rambunctious performers, elegant singers and athletic dancers. Standouts include Danny Scheie in an unrepentant hammy tour de force as dopey villain Mayor Shinn, drawing a slew of belly laughs with ludicrous monologues and one-liners. Manna Nichols delivers show-stopping vocals as Harold's bookish love interest, Marian. Amy Button, Carly Natania Grossman, Jay Garcia and George Slotin anchor an outstanding ensemble. Before the performance, Arizona Theatre Company's brain trust took the stage and revealed that this is the most expensive production in the organization's 52 years. The bulk of the expense seems to have gone into the elaborate sets, which switch out and flow into the narrative in seamless transitions and impressive mobility. Director David Ivers orchestrates the impressive pieces with aplomb. The synchronicity of the sets and performers is obvious from the outset, with the opening number, "Rock Island," in which traveling salesmen gossip on a train ride. The standout number is the second song in act two, "Shipoopi," an exhausting couples routine that pushes the ballroom and stunt talents of the dancers to the limit. Choreographer Jaclyn Miller and her charges deserve a mid-show standing ovation for that number alone. Passionate and poignant messages keep the 1957 writing relevant. The show preaches the urgency of financial support of community arts, as well as the innate need for artistic expression that often lies dormant in the heart. 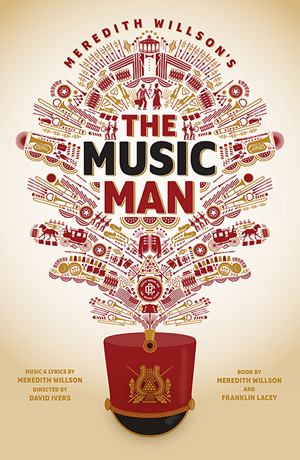 The metaphorical song "The Music Man" belts out rings heartfelt and true through the decades. Arizona Theatre Company's production of "The Music Man" plays through Dec. 30. Buy tickets here. You would think a book like this would be dated, but it holds up astoundingly well. Now the story of a world without physical books is alarmingly prophetic, if a little misdirected in its alarmism. The dystopian portrait Ray Bradbury paints is chilling, if a little perfunctory. The cliches it established have been copied to the point that they play like white noise. Bradbury leans away from his weaknesses in descriptive storytelling, delving more into philosophical debates that stem from dueling monologues of its conflicted characters. Bradbury ultimately arrives at the point that it's not the medium that matters, but the thirst for knowledge and exploration of thought that keeps the human mind vital. Oral tradition, public discussion and the expansive reach that digital distribution delivers in the form of audio and e-books makes physical volumes all but obsolete. Even more poignant is the book's "Handmaid's Tale"-like message that fascism doesn't always come by violent revolution, but by a methodical chipping away of civil liberties and public curiosity. In the Audible version, Tim Robbins provides brainy, insightful narration that shades Bradbury's thoughts with depth and nuance, infusing the book's polemics with fevered angst. The slippery slope grows steeper the longer it remains unchallenged. It's important for thought-provoking works like this to spark people into checking the temperature before things get out of control. Upon release in October, "Assassin's Creed Odyssey" was already a staggeringly large game, with a vast world bursting with sidequests to explore. "Legacy of the First Blade Episode 1 - Hunted," the first of three scheduled expansions, continues to ratchet up the depth and reach of one of the year's most impressive open-world titles. Flowing naturally from the base campaign, the saga is a bite-sized addition to the mythos, taking pains to connect the sprawling Ancient Greek opus with the fiction of the series proper, as well as last year's "Assassin's Cred Origins." Back from that game is the Order of the Ancient, which is fated to evolve into the Templars -- future antagonists of the assassins. It's on you to investigate mysterious figures who pull strings from behind the scenes. The M.O. stays the same: Investigate, infiltrate and execute your targets, vaulting you toward the next branching path. Set in the Macedonia sector of the map, "Hunted" is a tight, interlocking series of missions with satisfying ties to the rest of the series and hints of what's to come. This is single-player DLC done right, giving gamers distracted by the likes of "Red Dead Redemption 2" an excellent reason to dive back into the fray. Wherever Rico Rodriguez goes, chaos erupts. The grapple-shooting, parachute-dropping one-man revolutionary army overturns governments, blasts away thugs in firefights and sneaks into strongholds for espionage ops. "Just Cause 4" finds the brash protagonist in deep once again, thriving in his element of mass destruction. Set in the fictional South American nation of Solis, the game is the most vertical in the series, giving Rico ample opportunity to get the drop on enemies from hidden crags and towering nooks. "Just Cause" games have always thrived on giving players a sense of exuberant freedom, and the fourth entry follows suit. You may find yourself grappling behind a vehicle in one moment, vaulting over a wall the next, deploying a chute to catch a draft up a 50-foot building, then BASE jumping alongside a waterfall shortly after. Like an absurd action movie fever dream come to life, "Just Cause 4" lets you live out your wildest impulses with little regard for the consequence. Developer Avalanche Studios rewards you time and again for brashness and daring, discouraging you from playing it as safe as you might in, say, "Black Ops 4." There is clear influence from the likes of "Fortnite" and other Battle Royale releases. The combat and traversal tactics, as well as on-the-fly environmental cover, that players pick up in the other games will apply well here. Enemies are largely hapless and dumb, but that doesn't detract from the glee in taking them out. Some may gripe that this is just more of the same, but since it's been three years since "Just Cause 3," and there's really no other game out there that matches the "Just Cause" sensibilities, that's no drawback at all. "Just Cause 4" seeks out its niche and exploits it for all its worth. Its sense of freedom, intensity and rapidfire adrenaline rushes never ceases throughout its well-designed campaign. A welcome release of breezy entertainment, it's an ideal release valve from the pressures of the holidays. Book Report: "The Strange Case of Dr. Jekyll and Mr. Hyde"
Robert Louis Stevensons' dark, disturbing tale of duality thrives because of its innovative narrative format and incisive psychological expiration. Told from alternating perspectives in what is now known as "Rashomon" style, a police procedural-like murder mystery from witnesses gives way to a fevered tale of internal conflict, in which the mad scientist central character faces off with the alter ego that he wrestles with for control of his physical body. What emerges by the end is that the struggle Jekyll and Hyde endure is something everyone goes through to a degree. Jekyll is not some foreign entity, but a heedless id who indulges his dark impulses. It's possible to argue that Hyde is his true self, and Jekyll is the mask that he's crafted to make himself presentable to society. Parallels with alcoholism and addiction emerge, with Jekyll suffering physical withdrawals as well as moral conflicts when he considers whether or not to continue to enable his alternate personality. Richard Armitage delivers a heartfelt, frenzied reading in the Audible version, infusing the story with the harried passion that Stevenson seems to have intended. His fevered delivery helps insert you into the conflict. There is a lot to consider and sort through in the tight, efficient tale, and it's easy to see why the story has been echoed and repeated, most prominently in "The Incredible Hulk." This is a true essential. They sure don't make 'em like "Night Slashers" anymore. The horror-themed beat-em-up is a simple point A to point B affair in which you knock out everyone and everything in your way, int he style of "Double Dragon" and "Final Fight." Developer Flying Tiger Entertainment, Inc. follows up its innovative and lovingly retro "Heavy Burger" release with a straight-up port of a forgotten 1993 arcade classic. "Night Slashers" is a rare find, because if you never popped quarters into a machine, you've never played it because the game never made it to a console before. It fits well on the Switch, which has become a haven for retro classics. The game thrives both on TV and in portable mode, and benefits from save states, which make the game easier to digest than in its original, all-or-nothing format that made you start over from the beginning if you fail. The Johnny Turbo label is off to an excellent start on the Switch. Games such as "Night Slashers" whet the appetite for more just like it, and there's a feeling that the Switch could become a 1990s arcade that almost fits into your pocket. Book Report: "A Connecticut Yankee in King Arthur's Court"
Having seen a couple movie adaptations, I was expecting something silly, light and inconsequential out of Mark Twain here. That's a major reason it took me so long to get around to this one. What I got blew my mind. Twain's story of a 19th century man who finds himself transported back to 6th century England. His immediate instinct is to use his 13-century advantage of hive-mind-generated knowledge to make himself master of all he surveys. He fashions himself a powerful sorcerer, dubs himself The Boss and institutes industries and education systems. The book laid the groundwork for one of my favorite films, "Army of Darkness," and its cocky hero, Ash. Twain's book is not only outrageous and consistently hilarious, but deep and insightful. He takes hard looks at slavery, racism and classism, bitterly satirizing power-mongering authorities. At times, the book comes at close to inducing tears as it does belly laughs. Nick Offerman's Audible performance lifts the prose to an even higher level. His blustering tone is a perfect match for the material, and his character voice work is astoundingly convincing. If there's another movie made of this book, he needs to be the star. "A Connecticut Yankee in King Arthur's Court" is not only the best Mark Twain book I've experienced, but one of the best humor novels I've ever encountered. The genius author proves that one of the best ways to advocate for progress is to look backward. A knight turned to stone by dark magic must overcome his inner and outer demons in order to win the day. That's the premise of 7Levels' "Castle of Heart," as well as a metaphor for difficulties players must deal with often clunky controls and confoundingly obstructive design choices. The 20-level 2D platformer harkens back to the time when players had to grind against the same difficulties over and over, gradually earning an aptitude via trial-and-error in order to conquer the challenge. There's something to be said for the game's gritty difficulty and lack of hand-holding, because the hard-fought success makes you feel as though you've genuinely accomplished something. Whether or not that triumph is worth the maddening hassle it takes to get there is debatable. There's no knocking the visuals. The world of "Castle of Heart" shines with a "Trine"-like beauty, which reverently crafts the details of its high fantasy medieval setting. On the flip side, no matter how pretty the game is, you get sick of looking at the same thing over and over as you fail -- sometimes due to what feels like cheap, unfair design -- and it's a slippery slope to cross over from appreciation to annoyance. "Castle of Heart" is a tough game to love. You feel as though you are fighting against the developers themselves, and the battle gets ugly. When you feel resentment rather than respect, there's a problem there that sorcery can't fix. Rounding up more than 50 1990s games, "Sega Genesis Classics" gives you the full breadth of what the experience was like growing up with the console. For every brilliant "Sonic" and "Shinobi" game, there were confounding duds such as "Bio-Hazard Battle" and "Flicky." No matter how awful the game was, you played it for hours anyway, because that's all you had around. It was either spend your weekend on "Dynamite Headdy" or face the wrath of your mom for having wasted her $3.50 on the rental from Blockbuster. The lame games work not only as padding, but as a whimsical sampler platter that provides a glance to the trials and triumphs of game design in its early stages. Even amid the poor, unfulfilling efforts, there are germs of what was set to emerge one day. Developers had to work under heavy constraints, working overtime to squeeze every bit of graphics, sound and gameplay variety out of the 16 bits provided. Those restrictions forced them to get creative, and this set up a laboratory for innovation to gestate. Historical reverence aside, you're sure to spend the bulk of your time with the more memorable games included, and Sega has gone above and beyond to make sure your experience playing them is as slick as possible. Not only are the ports picture perfect, but the Switch controls are mapped as precisely as possible to echo the original Sega/Mega Drive button setup. Enhancements such as online multiplayer, mirror modes, rewind and save-states add logical additions to gameplay, and also make them more accessible than before. An impressive roundup that's an essential addition to any Switch library, "Sega Genesis Classics" brings back the 1990s in all their glory and warts, providing a blast from the past that will have you grinning. The arena brawler "My Hero One's Justice" goes from zero to screen-filling-supers insanity in seconds. Wild, cinematic visuals make the game feel like a playable anime, making even the brutal beatdowns you suffer a treat to behold. The Weekly Shonen Jump manga, with its roster of characters with outsize personalities and abilities, was ripe for a fighting game adaptation. Bandai Namco Games, which has had such success with "Dragon Ball Z" fighters, took on the project with its trademark visual zeal and storytelling panache. Environments break down and shift, exemplifying the destructive power wielded by the likes of All Might, Deku and Tomura. Thunderous shouts accompany game-changing special moves, Quirks, summons, breakers and parries. While some characters are overpowered and others are too weak for anyone but experts to expect success with, the diversity of powers makes for intriguing matchups, with ever-shifting power dynamics that lend to diverse types of pacing. Unfortunately, the lack of balance also leaves openings for players who rely on repetitive money moves to succeed. You can easily find yourself helpless in multiplayer matches. You get the feeling that developers funneled more resource into style than substance. But even when it's unfair, the game never fails to put on a thrilling show. Many modern games draw heavy inspiration from the 8 and 16-bit eras, but few turn to the often forgotten visual wasteland of the Game Boy era. "Save Me Mr. Tako: Tasukete Tako-San" happily subvers that paradigm and dives into the realm of pea soup-colored screens. The story is vintage early-90s wackiness: An octopus rescues a drowning woman, impressing a fairy who grants him the ability to move about on land. You hop and bop your way through the tightly-costructed platforming levels, blasting enemies with ink, and doing the typical "Link's Awakening" thing of discovering the needs of townsfolk, fetching items that will help them help you help others, and so on. In an era drenched with throwback offerings, it's not enough just to throw back for the sake of throwing back. The developers at Nicalis understand this, and strive to give their game a reason to exist in the here and now. "Save Me Mr. Tako" is a sendup of not only 1980s and 90s gaming tropes, but the absurdity of game design cliches and pop culture as a whole. And even without all the references, it's easy to appreciate the disarming innocence and charming sense of humor that run throughout. While the difficulty ramp-up makes it tough on newcomers, "Save Me Mr. Tako" is worth the dip in its nostalgia-dripped waters. You'll find yourself rubbing your eyes to confirm that your Switch isn't actually a Game Boy. Emerging from the ether after the apocalyptic frenzy of Black Friday/Cyber Monday comes "Darksiders III." It's developer Gunfire Games' way of tapping you on the shoulder and saying "Hey, remember me?" Anyone who has taken on either or both of the first two games of the series will have a tough time forgetting the promised apocalyptic quadrilogy. Staggering visuals, enrpaturing combat and a dynamic that crosses aspects of "Zelda" wirth "Devil May Cry" has built the "Darksiders" franchise to be one of the most talked-about in gaming. Each chapter takes on a horseman of the apocalypse as its protagonist. War helmed the 2010 original, followed by Death in 2012. Financial difficulties suffered by publisher THQ scattered the developers to the winds, but the core has reunited to spearhead the continuation of the series into current-gen consoles. After remasters and enhanced editions of the first two games, the chance to finally play the third full release feels like a blessing from beyond. This time out, it's Fury's turn to take the reigns. More lithe and athletic than her predecessors, the huntress delivers her brand of death and destruction with weapons such as whips and projectile daggers, as well as the ability to transform to suit the demands of the scanario. If you've played the "Bayonetta" games, you have an idea of what to expect. In the manner of "Dark Souls" and "Shovel Knight," you harvest souls from enemies that you can use to upgrade and enhance your abilities. The light RPG feel from previous entries returns, adding to the sense of progress and progression, as well as the power fantasy-fueling development of godlike powers. As you romp through quests in the game, you feel like a threat that sends chills into the dark hearts of your adversaries. "Darksiders III" uses its predecessors as building blocks, taking visual cues from the remastered editions while considerably raising the bar of visual fidelity. This is one of the more darkly gorgeous games of the year. Even amid the blistering action, you often feel the need to pause for a screesnshot to preserve the majesty of the movement. Credit the dev team for orchestrating all the moving parts into a coherent, often surprisingly emotional storyline. There is plenty of hacking and slashing to be done, but it's all for a higher purpose. Much like "God of War," this is the most mature entry in the "Darksiders" series to date, with the grim upshot of wanton destruction ever hovering over your furious exploits. Hell hath no fury like... well, Fury. The brutal, seething starlet is ready for her closeup. The phrase "your eyes are bigger than your stomach" gets bandied around a lot this time of year, and it seems to apply to the formidable challenge that Bethesda Game Studios took on with "Fallout 76." The ahead-of-its-time concept -- perhaps too far ahead of its time -- is to adapt one of the watershed solo RPG experiences to an MMO-style scene. The big, bold idea called for all human characters to be controlled by actual players, who would band together, forge rivalries and ultimately work together to craft emergent stories that would outpace anything writers could come up with. While some fans were understandably skeptical, many were fascinated by the idea of taking on the postapocalyptic West Virginia terrain with friends and strangers. The results, at least out of the gate, fall far short of the ideals of what "Fallout 76" might have been, as well as what it still has potential to evolve into. What players actually find is a wasteland of another sort, and often lonelier than what a typical single-player "Fallout" experience turns out to be. With players scattered to the winds, those who don't head into the fray with a set group of players wind up chasing down the game's barrage of fetch quests by themselves. Chance human interaction is rare, and PVP, which unlocks after a few early levels, is so disparate and bizarre that the risk and burden of taking on the interactions seems barely worth the reward of scrap you receive if you succeed. Another questionable aspect is the VATS system, which in the past worked to add the traditional, turn-based RPG flavor to battles. The online-only nature of the game means pausing is impossible, thus taking away much of the appeal of VATS combat. The feel and trappings of the traditional "Fallout" experience are here. There are "good bones," as an HGTV host would say. But this is very much a work in progress, and must be evaluated and played as such. "Fallout 76" will improve once developers put some heft into the community aspect, making the game a gathering place for like-minded "Fallout" freaks who throw their hearts and souls into the game. Once the tourists stop muddying up the servers, "Fallout 76" will be well on the way along its path to success. Bethesda's "Elder Scrolls Online" had just as many struggles when it was released in 2014, and has since evolved so admirably that its accomplishments have managed to surpass the initial vision. Bethesda's team will surely iron out many of the initial failures of "Fallout 76," and will doubtlessly improve the game with regular updates. Those who spend time with the game now can expect to be justly rewarded in the game's future, which seems undoubtedly bright. If you have the game now, stick with it and expect happy returns. If you are intrigued with the premise and have patience for a rough experience, by all means proceed, but bear in mind that you're paying full price for what amounts to a work-in-progress. The 2018 version of "Fallout 76" will most likely one day be looked back upon as the beta version of whatever it eventually becomes. EA DICE has long thrived at the forefront of war sims, forging its own path while imitators came and went. The result of the experimentation hasn't always been triumphant -- the gonzo "Battlefield Hardline," anyone? -- but even the misfires seem to pay off masterfully. The overall progression comes to a head in "Battlefield V," which draws heavily on the template of last year's "Battlefield 1." After a break from World War II, as gamers tired of the conflict, the developer gets back to its go-to conflict this time, pulling off the magnificent trick of finding fresh and vibrant tales for its campaign, as well as adding some fresh wrinkles to multiplayer that make it all but impossible to return to a previous online World War II shooter. For years, "Battlefield" campaigns were inconsequential, but that all changed last year with the unorthodox, emotional World War I vignettes. As rival "Call of Duty" has scrapped single player entirely," "Battlefield" doubles down, distinguishing itself with a powerful, front-hopping collection of battlefield narratives that deepen your understanding of the massive, multifaceted war in a way no documentary or history book could approach. Its smattering of antiheroes, unsung female combatants and common folk who rose to the occasion is breathtaking to behold. The research and sensitivity that went into constructing these stories is commendable. An equal amount of thought and execution went into the multiplayer suite, which has always been and always will be the enduring reason to pick up a "Battlefield" game. Standout visuals blend with rock-solid netcode to craft a seamless experience. Something about the series' professionalism and somber tone has always drawn more serious gamers into the mix, making games less likely to be soiled by griefers who trolls who tend to deflate some other popular online destinations. Some may argue that "Battlefield V" multiplayer could have benefited from more risk, but the story is not full written. With a promised Battle Royale mode still in the pipeline, "Battlefield V" promises to only grow in prominence as the months roll by. War may be hell, but "Battlefield V" is the opposite. Smartphone technology seems to have plateaued, with the updates to the likes of the iPhone, Pixel and Galaxy rearranging captain's chairs on the rocketship. Even the most basic smartphones are now expected to perform the sort of magic that a decade ago would have seemed like science fiction. The stagnation of high-end devices has provided an opportunity for budget manufacturers to bring up the rear in decisive faction, shortening the technological gap between a phone that costs a mortgage payment and one that could pass as an impulse buy. T-Mobile's REVVL 2 is an example of high-end tech at a bargain basement price. If you're used to springing for devices that run close to $1,000, you may wince at the thought of shifting to a daily driver that costs less than $200. The thought, in fact, may bring to mind a 2000s flip phone or a pair of cans with strings tied together. But once the REVVL2 is in your hands, those fears float away once you realize you're clutching something that can run in the same race with the big boys. A 1.5 quad-core processor works with 2GB of RAM, with front and back-facing cameras that boast 8MP and 13MP, respectively. Those aren't specs that match those of modern top-end smartphones, but the step down in technological prowess is more of a curbside ramp than a rappel down a skyscraper. Messing around with the REVVL 2, you discover that when it comes to functionality, the numbers may as well be letters. True, there are some sacrifices in the transition from the upper crust to the REVVL 2. Bluetooth functionality has a way of cutting out at the least opportune moments, and the 3,000mAh battery seems to figuratively wheeze and chug at times, as though tasked with too much to handle without proper optimization. Still, the phone handled a slew of games and live quiz show apps with ease, streamed video without hiccups, and juggled the rapidfire keyboard tapping of texts, emails and calls without faltering. The toughest part about switching to the REVVL 2 will be the status symbol aspect. You'll pull out the phone, someone will ask what it is, and you'll answer, bracing for the start of a conversation that will make you explain what it is you're using, and why you don't have an iPhone or Galaxy. But you'll have an ideal way to win that discussion: You'll reveal the price of your phone, then raise an eyebrow and ask them how much theirs cost. If you have fond memories of frolicking around grassy fields and roasting enemies as Spyro the Dragon, odds are you haven't touched the games anytime in the last 15 years. Many aspects of the creaky old games added up to make the originals all but unplayable to anyone but the most devoted fans of the franchise. Now here comes along "Spyro Reignited Trilogy," which reinvents the series with wholesale modern trappings. So slick, lovingly created and invigorating are the new games that they figuratively breathe fire on the originals, leaving frayed embers behind. Developer Toys for Bob, which kept the spirit of Spyro alive with the "Skylanders" series, channeled some deep love and care into the original series, released from 1998-2000 on the PlayStation. Their months upon months of dedicated labor paid off big-time. This suite of remakes follows the template of last years "Crash Bandicoot N.Sane Trilogy" and pushes the concept even farther. These new games are what the original developers may have dreamed of but never could accomplish with late-20th century tech. Rather than strive for a pixel-perfect recreation, Toys for bob uses the original games as base parameters for a wholesale remake. New character models, backgrounds, animations, transition screens and audio suite are all included. There are also countless quality-of-life improvements, from checkpoints, to slick loading times and saves that make the Spyro games seem so different from their forebears that they may as well be entirely new games. Those who aren't aware that the games are remakes would see no signs of Spyro's severely outdated past. Spyro the Dragon is very much alive and well, resurrected like a cloned dinosaur from amber. Even if you think you know Spyro, the new games prove that notion false. He's reignited as a fresh, vital character with a spirit as bright and vital as the flames that rage out from his belly. PHIL ON FILM: "Fantastic Beasts: The Crimes of Grindelwald"
Upon its release four years ago, "Rogue Legacy" set a standard for other throwback roguelikes to aspire to. A winning sense of humor, fascinatingly instanced levels and a compelling reward loop separate it from the pack. Now that Cellar Door Games' creation has made its Switch debut, it's as clear as ever that its innovations and attributes hold up in a lasting manner. As with all roguelikes, permadeath is an expected and accepted part of progress. Each time you give up the ghost, a descendant comes along to resume the family obsession. Playing along a family line, you leave inheritances for future generations along the shared quest. No two generations are alike, with variants including characters with disabilities, upgraded abilities and quirks. The action is everpresent and gripping, but it's the humor int he writing and design that grants the game the majority of its charm. "Rogue Legacy" is at its best when thrusting a comically underpowered hero against an absurd challenge, forcing you to scramble haplessly in order to inch onward. A "they killed Kenny!" vibe permeates the fatalistic feel. While there are few visible enhancements for the Switch version, it clearly wasn't necessary to mess with the formula. "Rogue Legacy" was polished and vibrant out of the gate, and survives the port to Nintendo's console without losing any of the luster that it had. Adapting seamlessly to both portable and console modes, this is a game that's tough to put down no matter where you are. Four years on, "Rogue Legacy" is reborn to uphold the family name. Now that standby franchises such as "Silent Hill" and "Fatal Frame" have seemingly gone dormant, it's up to indie developers to fill the gap in the horror genre. Developers are rewarded for taking chances, shaking up formulas and leaning hard into experimentation. Sometimes the results are wild successes, but oftentimes, as with "Home Sweet Home," they're decidedly mixed. Based on Thai mythology, "Home Sweet Home" strives for violent jump scares that punctuate a creeping sense of dread. Packing its share of off-putting atmospheric fright into its diminutive package, the team at Mastiff has created a game with moments that stick with you when you step away from the console, left in the dark to mull over what you've experienced. They've also generated a game that's so frustrating at times that you think twice about whether or not you'll come back for more. It's become en vogue to ratchet up the difficulty level to draw comparison to the likes of "Diablo" and "Dark Souls," but there's a blurry line between effective and fair punishment and outright negligence. The controls and camera tend to be as difficult to contend with as the foes. While "Home Sweet Home" is worthwhile for those who want to flip off the lights, lose themselves in the convoluted fiction and get their hearts racing, gamers who demand more cohesion and polish may want to avoid the freak show altogether. A revved-up arcade racer that's fueled on the understanding that assaulting your opponents is more fun than breezing past them, "GRIP: Combat Racing" is "Mario Kart" by way of "Twisted Metal." Choosing from among 15 cars decked out with armor, as well as upgradeable arsenal capabilities, you take to circuits of nearly two dozen tracks teeming with environmental hazards, wild jumps and inhumane turns, many of which have ledges designed to knock your rivals over. Caged Element Inc. not only has the know-how to craft a rock-solid racer, complete with highly-calibrated balance, immense replayability and a stacked upgrade system, they also have conjured the special sauce to tie it all together, making the cohesive hole greater than the sum of its parts. As solid as the standard racing is, the atmosphere truly shifts into overdrive in multiplayer. "GRIP" is a game geared for mayhem, and the satisfaction of blasting away AI bots can't come close to comparing against the unadulterated glee of reigning doom upon a real-life foe. True to the spirit of a garage tinkerer, the game is nearly as much fun off the track, with loads of customization options available to get your ride looking and riding its best. Hints of the likes of "Forza" and "Gran Turismo" abound, without the requisite slate of tweaks that are there only for show, and have little results on the track. While more vehicles, weapons and tracks could lift the game to an even higher plane -- expect plenty more of each in DLC on the horizon -- the base package that "GRIP: Combat Racing" ships with already feels feature-complete, and is enough to keep you occupied for countless hours of staying up way too late trading paint and projectiles with your combat racing frenemies. In the great race to port just about every significant -- or insignificant -- release from the past few years to the Switch, Ubisoft has been among the most dutiful. Some of the best fits have been the titles in the short-lived UbiArt Framework, which conjured several classics in the first half of the decade. "Rayman Legends" and "Child of Light" have had their moment in the Switch sun, and now it's time for perhaps the greatest UbiArts title of them all. One of the shiniest of those gems was "Valiant Hearts: The Great War," the 2014 Ubisoft Montreal adventure masterpiece. Set during World War I, the narrative shifts among the perspectives of various characters ensnared in the conflict. Civilians, soldiers and even pets, deal with the moral angst and deep-cutting tragedy that resulted from what was then known as the War to End All Wars. Combat and reflex-oriented gameplay slip to the wayside in favor of puzzle-solving. You run across someone with a need, and seek out the means to solve that person's problem by finding someone else that can help that person, and doing what it takes to satisfy that person in order to proceed. This chain of favor-swapping and paying it backward with the goal of the benefit eventually circling back to you marks out the playing field for immensely satisfying solutions. There's something soothing about seeing all the pieces fall into place after you've put in all the effort to set things just right. There is usually only one correct path to proceed, making it tempting to fall back on walkthroughs whenever you find yourself stuck. But using your own wits to patch together your solutions is much more fulfilling. Ancillary to the mainline gameplay, but just as enchanting, are the loads of historical facts that pop up as you play. "Valiant Hearts" is based on intensive research, not only of the war itself, but the daily lives of people of the era, and quirks that arise are explained by full-screen explainers that are fascinating to devour. Collectibles also abound, incentivizing you to sniff around every corner of the screen in your travels. An apt fit for the Switch, due to its beautiful and big portable screen, "Valiant Heart" is a war game unlike any other. More than any other game, and even any book or movie based on the war, it places you into the psyches and minds of those forced to find out what they were made of when unspeakable uncertainty and violence tore their sense of normalcy to shreds. This is a treasure of a game that cries to be sought out, and it warms my heart that it's found its way to the hottest platform in gaming, where it will doubtlessly capture a new block of devotees. Jane Austen could have swapped the titles of "Sense and Sensibility" and "Pride and Prejudice" and it wouldn't have made any difference, because the terms apply just as well to both novels. Her characters, storylines and plot twists are just as interchangeable. She could have written her books by Mad Libs. In her dry, matter-of-fact way, Austen explored heavy, inconvenient truths about love and relationships that ring as profoundly now as they did 200 years ago. Her heroines were Kardashians of the era. Young, outgoing women who sought to remake the world in their image, with nothing but money and free time. The difference is that life expectancy and social expectations forced them to be obsessed with marriage in their teens. Family pressures forced arrangements upon them that their hearts rebelled against, creating boundless sources of smoldering conflict. Austen invented the template for the modern romantic comedy with her work, and her breakthrough as a feminist literary icon deserves respect and reverence. But as Yoda would say of her work, "page turners, they were not." This is dense, often rough material to trudge through, feeling more like homework than breezy reads for the sake of fun. Austen tends to repeat words and phrases, and spends too much time lingering on pointless detail when she could be moving the molasses plot forward. Still, this is homework well worth hacking your way through. Her thesis, that true love isn't always enough in the face of practical needs, and that romantic idealism isn't built to withstand the long haul, remains relevant. In the Audible version, Rosamund Pike delivers a passionate performance, injecting the necessary vigor and flair into Austen's words, and adjusting her voice masterfully to define each character. "Sense and Sensibility" is the sort of book made for audio. It's a far more staisfying listen than a read. In this age of copious remasters, rereleased and throwback anthologies, it's no longer enough to slap a quick-and-dirty group of ports onto a release and call it a day. The likes of "Rare Replay," Capcom's "Mega Man" compilations and Nintendo's Switch suite of NES games for Switch online users have considerably upped the ante for what's expected in such releases. "SNK 40th Anniversary Collection" meets that bar and surpasses it with innovations of its own. A robust gathering of old-school arcade and console classics stretching over four decades of SNK excellence, the titles alone would make owning the 13-game collection (with 11 more titles coming via free DLC) essential for any history-appreciating gamer. The likes of the renowned "Ikari Warriors" franchise, lost arcade classics such as the bullet hell "Prehistoric Isle" and cult favorites such as "Victory Road" make up the lineup. Pixel-perfect adaptations that maintain the original aspect ratios are there, and tight, responsive controls make the transition. The dev team doesn't stop there, though. A remarkable measure of passion went into the curation of the games, as well as the slate of special features. Present is the "Rare Replay"-like ability to rewind action at any point, making excruciatingly difficult titles more tolerable by letting you correct mistakes in short order rather than make the walk of shame back to the beginning of the level like you had to in the olden days. Even more impressive is the innovation of "watch" mode, which contains perfect speedruns of each game. You can either sit back and watch in awe, or jump in and take over at any point. The mode is liberating and adds a new dimension of appreciation that future dev teams who make retro compilations should follow. Equally as fascinating as the games is the "museum" category, which doles out a treasure trove of concept art, promotional materials and factoids about SNK history, including the games in the collection, as well as those that didn't make the cut. Looking through these archives helps lend an appreciation not only of SNK's past, but of the publisher's role in gaming history in general. "SNK 40th Anniversary Collection" feels like a hands-on grad school class in gaming history. School is in session not only for gamers, but developers looking for pointers on how a retro collection can be done right.